When the members of R.E.M. recently announced that they were “calling it a day,” I was surprised—not by the fact that they were breaking up, but that I was thinking about R.E.M. at all. There was a moment of confusion—should I care about this?—before indifference set in. Though the band was once one of the most important in my little world, I had long ago ceased paying attention. I don’t think many people were surprised by the announcement. R.E.M. had long ago ceased being an important part of the pop landscape. Most of the articles that have come out since the official split have the feel of obituaries prepared in advance, their writers quite reasonably focusing on the band’s undeniable historical importance, without dwelling on its contemporary irrelevance. It’s good to be reminded that R.E.M. was once revolutionary, especially for anyone who knows the band only as a trio of well-dressed, well-connected and entirely too well-fed middle-aged men. But even at Rolling Stone—where no amount of unctuous praise is too much—Rob Sheffield was forced to concede the obvious: that R.E.M. had run things into the ground a long time ago. When, exactly, the group lost its mojo is a matter of personal preference. Drummer Bill Berry’s retirement in 1997 was certainly a turning point, upsetting as it did the group’s delicate internal chemistry. But plenty of fans might point to the release of “Losing My Religion,” when the band finally achieved the pop chart success to which it had so slowly and carefully been building, or to Green, the first major label release. I myself started smelling trouble when I saw the moody Anton Corbijn photos that accompanied Automatic For The People: it’s never a good thing when that guy gets involved. 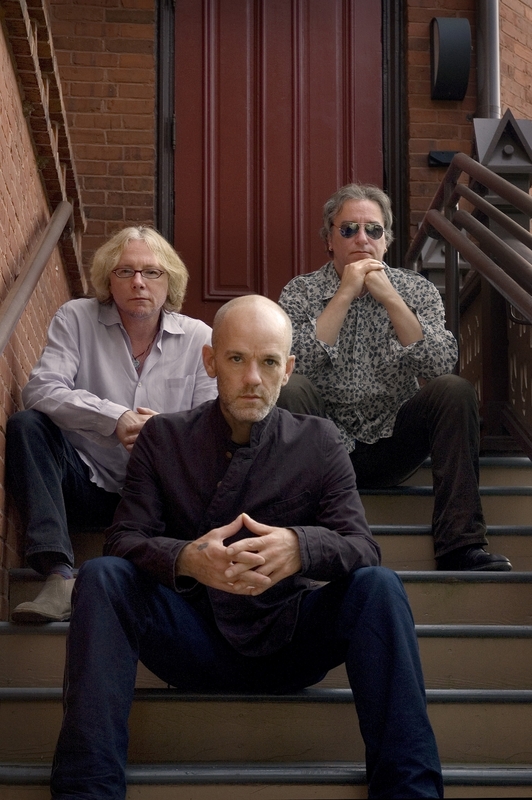 Or maybe it was when Michael Stipe shaved his head, another sign of creeping pretension (see the careers of Billy Corgan, Moby and Midnight Oil). Of course, R.E.M. was constantly shedding one layer of dedicated fans even as it gained new ones. As far back as 1985, it was a cliché to say that the band was “not as good as they used to be.” Just as the group pioneered and virtually invented alternative rock, they were one of the early targets of indie snark. The first time I saw the band live—in 1986, during the Life’s Rich Pageant tour—I thought they were fantastic. But after the show, when I asked one of my friends for his verdict, he nearly spat in disgust. “I was very disappointed! They should just break up.” He had been a fan since Murmur, and evidently that gave him some perspective on how far the band had fallen. Ten years later, I went to a sold-out show at Madison Square Garden and left with similar dissatisfaction, along with a know-it-all’s contempt of the newer fans, thousands of whom had just had a perfectly wonderful time. R.E.M., it seems, was always disappointing someone.